Out of the 193 UN members, Oman's the only one that begins with O. It sort of stands alone geopolitically, too. It's a lot lower-key than its Middle East neighbors, with neither the flashiness of other sultanates, nor the strife of some neighbors. On the other hand, Oman has a rich history given its strategic position at the mouth of the Persian Gulf: its traders plied the Indian Ocean for centuries, and it wasn't until the middle of the 20th century that it finally relinquished its claim to Zanzibar off the Tanzanian coast. In fact, limon omani, the dried lime with a hauntingly earthy tang, was the creation of Omani traders preserving fruit they bought in Malaysia on the decks of their ships. 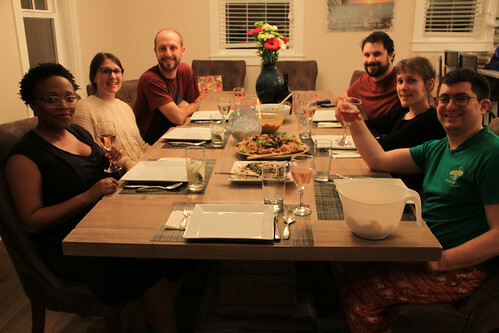 It was Laura's birthday weekend, so for the third year in a row we had the meal on the Oregon coast with friends. 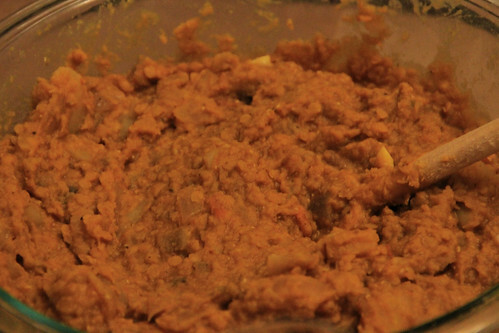 Recipes from Oman are shockingly hard to find online. Everything I cooked came from the book Food of Oman. I link to websites that have adapted versions of the recipes from this book where I can find them. Chips Oman is a commercial product with a strong devotion, apparently popular as a flavor and crunch factor in sandwiches as well as a snack. 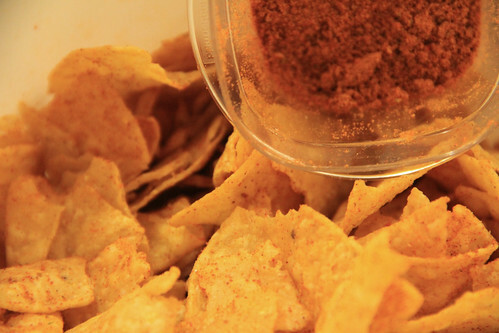 It's potato chips covered in a spice blend which features that limon omani as well as chili, salt, and a few supporting actors. I forgot to bring potato chips to the coast, so instead we had them on Juanita's tortilla chips, which was pretty darn good. 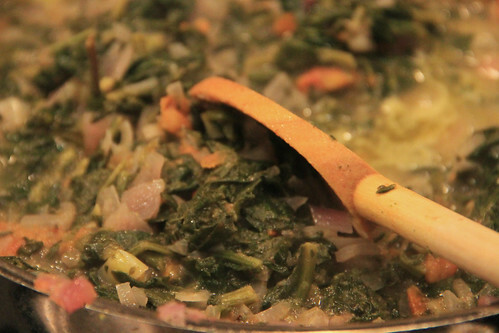 This dish tastes like it's straight from East Africa, with little to no mainland-Omani reinterpretation. Yet it's a good thing: the mild flavor and creaminess makes for a good contrast with the bold flavors of the rest of the meal. I originally decided to make this as a consolation to the vegetarians, but everyone agreed that this was a winner, with the flavors of this dish far richer and more complex than expected from a big lump of lentils. I think the process of cooking lentils separately from the onions and potatoes, and then combining them, leads to more distinct textures and flavors. Of course, all those spices sure help too. Biryani, a richly spiced rice-and-meat dish that probably originated in India, one of my favorite dishes to eat, and one of the most challenging to make. Everything's cooked separately, and then somehow at the end you're supposed to assemble it so the rice stays perfectly fluffy while intermingled with the sauces and chunks of meats and the rest. In this case, the cooking is even more complicated than I'd experienced before: the chicken is boiled and then pan-fried before being mixed into the richly spiced sauce, while the rice goes through an extra scenting with saffron-infused rosewater. 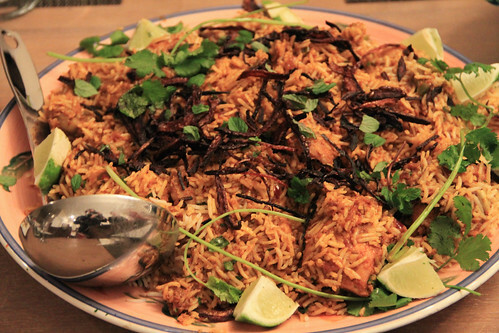 But somehow the assembly came together, and all those spices — the clove that makes it Zanzibari, plus with cardamom and much more — along with the fresh lime and cilantro and crispy onions, made this by far the best biryani I've made, and one of the best I've ever tasted. If you are eager to make a biryani, and can get your hands on the cookbook, by all means do. Sticky toffee pudding is a British treat made with dates and covered in a sinful sauce of brown sugar and butter. It only stands to reason that a place that grows dates would make its own variant. This one was a little more cake-like, as you can see it was baked as a solid cake and then doused in sauce. 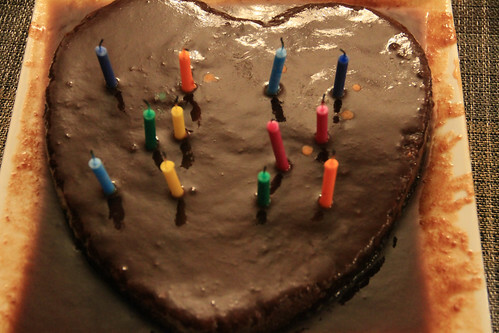 Certainly not a classic birthday cake, but really tasty and incredibly moist.